Michael D. Monico is recognized as one of the premier criminal defense attorneys in the country, representing individuals and corporations in high profile federal criminal and regulatory cases. Mr. Monico began his career as an Assistant United States Attorney for the Northern District of Illinois from 1973 through 1977. During this time, Mr. Monico served in the Judge Advocate General’s Corps (Captain, U.S. Army Reserves, 1975-79). Over the last thirty-five years, Mr. Monico has represented clients in white collar, health care fraud, antitrust, public corruption, mail, wire and securities fraud, and foreign corrupt practices investigations throughout the United States and around the globe. 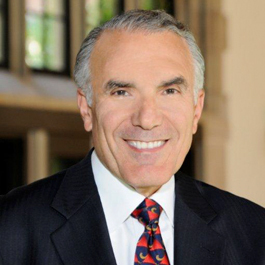 Named as one of “The Best Lawyers in America” from 1991 to the present, among his many honors, Mr. Monico has served as past President of the American Board of Criminal Defense Lawyers and is a Fellow of the American College of Trial Lawyers and the International Academy of Trial Lawyers. He recently completed service as the President of the Seventh Circuit Bar Association and he co-authors the only treatise on federal criminal law in the Seventh Circuit, entitled Federal Criminal Practice: A Seventh Circuit Handbook, now in its thirteenth edition. He has also published a number of articles on criminal law and is a chapter author in Your Witness: Lessons on Cross Examination. Mr. Monico regularly speaks at seminars on trial advocacy and criminal justice issues throughout the country and has taught trial advocacy at NITA as well as at Chicago area law schools. He has received a number of awards for his expertise in criminal law and trial advocacy. In November 2008, Mr. Monico received A “Lifetime Achievement Award” from the Illinois Association of Criminal Defense Lawyers. In July 2012, Mr. Monico was featured in Leading Lawyers Network, a peer-nominated organization, for his expertise in white collar criminal defense. And in September 2012, Mr. Monico received the Joel Flaum Award from the Chicago Inn of Court.